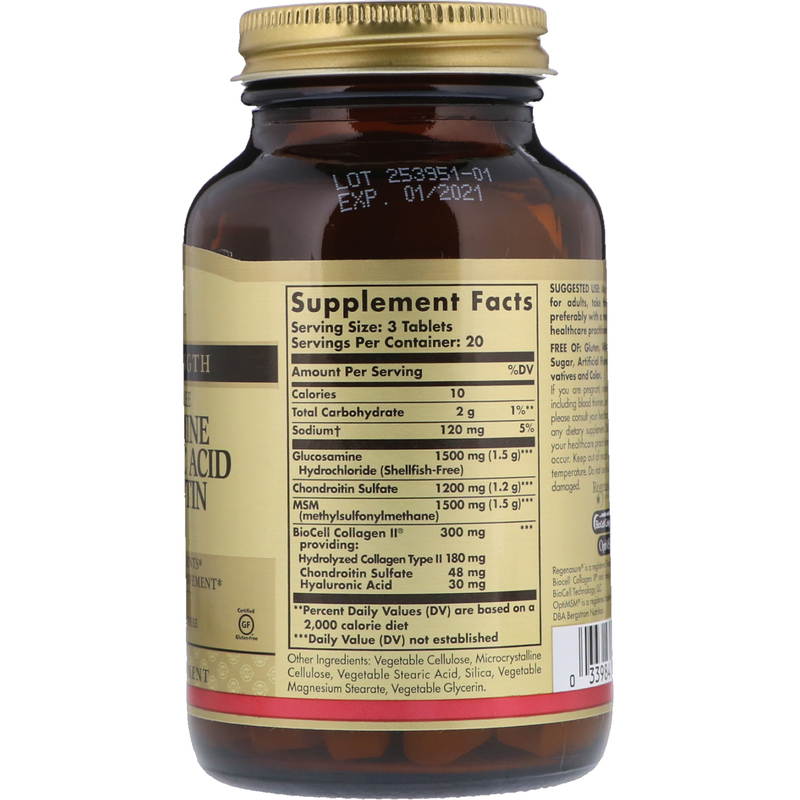 Glucosamine supports mobility, range of motion and flexibility. It helps ease occasional joint stress due to exercise or physical activity. Chondroitin supports cartilage and joint function. 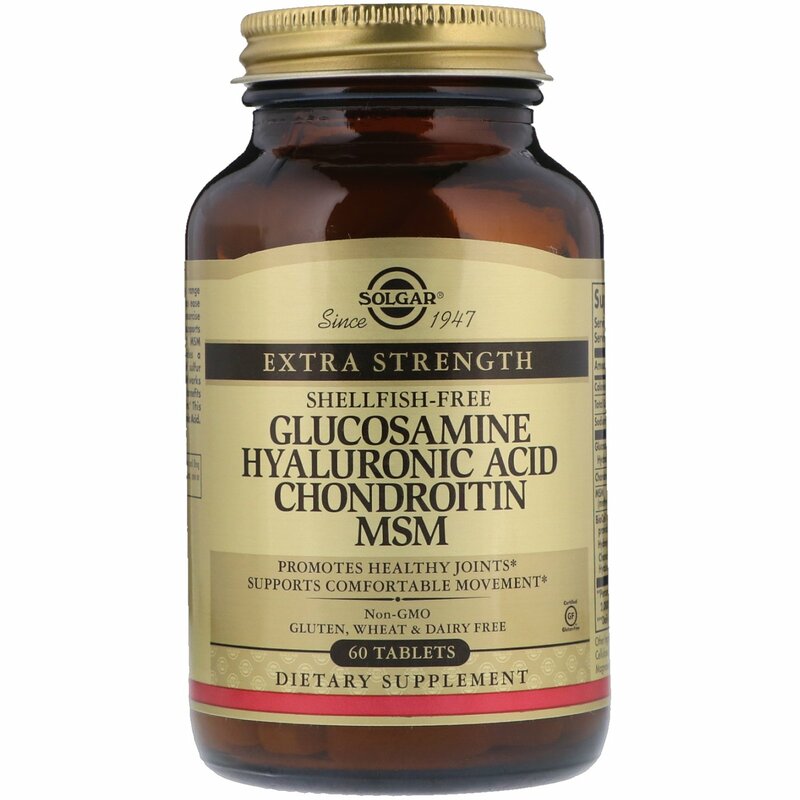 MSM (Methylsulfonylmethone) provides a natural, bioavailabile source of sulfur and promotes joint comfort. MSM works synergistically to support the benefits of glucosamine and chondroitin. This formulation also provides Hyaluronic Acid. If you are pregnant, nursing, taking any medications, including blood thinners, or have a medical condition, please consult your healthcare practitioner before taking any dietary supplement. Discontinue use and consult your healthcare practitioner if any adverse reactions occur. Keep out of reach of children. Store at room temperature. Do not use if outer bottle seal is missing or damaged.